Readers: None. There are several for children though, but....come on. Textbooks: I suggest getting something common and cheap like "Colloquial Greek" since like "keys" it treats Greek like Greek, a foreign language you're trying to learn. After you do that you should have a decent grasp, you'll be able to start speaking/listening and reading. Not as quick as some of the more "academic" books but will give you a decent feel for spoken vocabulary. Last edited by Nooj on Tue Sep 27, 2011 3:56 pm, edited 2 times in total. The page description says: The Greek Basic Course introduces the modern spoken language to those who wish a working command of contemporary Greek. The Greek represented in this course is a representative of the Kathomilumeni variety that is the "standard" speech of educated Greeks. It is neither entirely colloquial nor strictly formal. In the written materials the Greek alphabet is used from the beginning. It is free, and completely legal (having been developed by US tax dollars). You can easily have the pdf book printed at a local copy center for convenience. These were developed post WW2 as the US prepared to occupy multiple lands, as I heard the story. This way diplomats, and, say, Army captains could at least do a bit of basic newspaper and document reading and conversing with the locals. I cannot speak to the Greek set because I am a student of Homeric through Koine Greek. Irene here is a native Greek speaker...perhaps you could ask her what she thinks of the quality were she to peruse the pdf? Good luck! Yeah the FSI is free, I didn't mention it for a reason: it's quite outdated, lots of words/usages we don't really have any more. Textbook wise like I said I recommend "Colloquial Greek" since its the easiest to get hold of. Babionotis' book is also good, as is Greek 1 + 1 but again they're written in Greek. If you want to spend the cash (around £45 and I've not seen it outside of Greece...) search for "Greek as a modern foreign language" I think it's called. Also get some Greek TV shows like s'agapw m'agapas just to expose yourself to the language/ a fantastic series. My friends and I speak Ancient Greek. But don't you get tired of not being able to use AG anywhere else outside of your circle of friends? I have very mixed feelings about having learned Latin and Ancient Greek instead of French, German or any other language that is spoken by a living culture. Once I thought it was important to read texts in the original. And yes, the Aeneid and the Iliad are awesome, worthy of every praise that's been thrown their way. But in retrospect, I'd be happy to have read both in translation. Most translations are 'good enough'. When people say that they want to learn Greek to read the NT, I want to tell them that it's probably not worth the trouble. I'm having a great time listening to Disney songs in Greek. Greek is a beautiful sounding language. Although the reconstructed pronounciation of AG that I learned keeps throwing me off. I have to consciously force myself to read Greek as it's spoken now. Well that's neither here nor there. If we were being so utilitarian why would bother with extraneous languages anyway? I learnt AG and Latin due to my overwhelming interest in the ancient world and my chosen courses of study. I'm all about the context, it would be inconceivable for me to ever look at Homer in English and be satisfied, after all don't you know how weird his language actually is? When we're discussing whether or not such a particle is a Luwian loan word or whether such a phrase is a clumsy rendering of an Akkadian original or even reading a Hellenistic novel and laughing at the slight change of an old Homeric phrasing Greek is obviously important. No learning is in vain. You want Italian or French? well go learn it in the safe knowledge that having learnt Latin your acquisition of them will be somewhat faster and perhaps even more pleasant. Disney songs in Greek? I hate the habit of dubbing everything, it really ruined movies like Toy Story. I spend most of my team in Modern Greek....I don't think anyone would reasonably call it a beautiful language. Be wary btw of idiots stressing the similarity between that and Ancient Greek too much, I'd bet they've never undertaken a good cause of Composition or something to realise the massive differences in semiotics and nuances which are damn important for a Classicist to note. If you need help with resources, learning or just want to try some chatting in Greek hit me up. Scribo wrote: Well that's neither here nor there. If we were being so utilitarian why would bother with extraneous languages anyway? Just so you know where I'm coming from, my area of study is linguistics. One of my interests, more like a passion really, is in language endagerment. Speaking a language with only a couple hundred fluent speakers who are found only in an isolated portion of the country probably won't get you a job or improve your position in life. Heck, you might get looked down for speaking it. But I'm not going to say that these languages should be abandoned just because they're 'useless' in the wider society. I'm opposed to utilitarian arguments like these. When I say that I want to speak a language that has speakers, it's because I feel lonely learning a language that is primarily connected with the past. I like meeting people from different countries and different backgrounds. Travelling around has made me more aware of this. Scribo wrote: I learnt AG and Latin due to my overwhelming interest in the ancient world and my chosen courses of study. I'm all about the context, it would be inconceivable for me to ever look at Homer in English and be satisfied, after all don't you know how weird his language actually is? When we're discussing whether or not such a particle is a Luwian loan word or whether such a phrase is a clumsy rendering of an Akkadian original or even reading a Hellenistic novel and laughing at the slight change of an old Homeric phrasing Greek is obviously important. It's ironic that I can read Homeric Greek but I don't appreciate it! I'd be satisfied with reading Homer in translation in return for those years spent learning Greek, because Homer doesn't interest me to the extent that say, Sartre does. I'm one of those people who's more interested in existentialism than the debt that Greek owes to the Ancient Near East. That's not to say I'm not interested in Greek at all, but I've realised that I'm not as interested as I first thought. It's why I changed from Classics to linguistics. Scribo wrote: No learning is in vain. You want Italian or French? well go learn it in the safe knowledge that having learnt Latin your acquisition of them will be somewhat faster and perhaps even more pleasant. Yes well, French is for next year in university. Good luck with your studies friend. For what it's worth I can somewhat understand your angle. Scribo wrote: . I spend most of my team in Modern Greek....I don't think anyone would reasonably call it a beautiful language. I think native speakers would take an issue with that wouldn't you? I mean I don't consider it the most beautiful language in the whole wide world but it's not such a plain language either to me. Actually, for some obscure reason, it sounds better than reconstructed classic and homeric AG to my ears. Go figure! As for the similarities between the two, well, yes, those that over-stress them are going way too far, but you wouldn't believe the amount of things that bug foreign students of ancient Greek (no matter which their native language is and whether it's declined or not, or whatever) that a native speaker that actually knows their own language (Greek) finds completely natural. I didn't suddenly switch to the "MG and AG are almost identical" side (still nuts but not a nut-job thankfully) but I'm just saying. Nooj if you need any help and/or online sources tell me. Nooj wrote: Is it just me, or do Greek speakers speak Greek faster than English speakers do with English? I would say this depends on a) where you are in the English and Greek-speaking worlds, and b) who's talking. Lots of people tell me I speak too fast (in all the languages I speak), and I know some people who really draaaawl out their words. Also, I've heard this from so many people, going in every direction. When I was teaching English in Chile, the Spanish speakers said "all English speakers speak so fast! How can we possibly understand?!" While on the other hand, just about every English speaker I've known has said that Spanish speakers "talk so fast, it's impossible to understand what they're saying!" I've heard the same from French speakers about English and Spanish alike, and from English and Spanish speakers about French! I think any language you're not familiar with sounds fast (obviously this does depend on the individual speaker, like I said, as there certainly is individual variation); the more you learn, the easier it will be come and the less fast it will seem. I think as Alacritas said any language you are not fluent in sounds fast to you, at least if you are trying to understand it. Speech is almost at the speed of thought and people think a thought a lot faster than they translate the same, if they are not fluent in the language. Also to the person commenting on the Aeneid in translation being "good enough". Good enough for what purpose? If you had some mild interest in Roman history, but not enough to learn Latin, I guess I could understand that. But otherwise it's like saying the Cliff's Notes of a novel, or a photograph of a painting, are "good enough". The Aeneid is a poem. The only purpose a poem has is to be read (well sung actually, but close enough). If you read it in translation you're reading a different poem. Either it's worth reading or it's not worth reading. And if you have a genuine interest in philosophy you're doing yourself a grave disservice by not learning Greek. 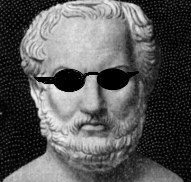 I think it says a lot about the quality of liberal education these days that one can obtain a philosophy PhD without having any Greek. I guess I could understand that. But otherwise it's like saying the Cliff's Notes of a novel, or a photograph of a painting, are "good enough". The Aeneid is a poem. The only purpose a poem has is to be read (well sung actually, but close enough). If you read it in translation you're reading a different poem. Either it's worth reading or it's not worth reading. What you're saying is that it's worth reading in the original language or it's not worth reading at all. I don't agree. Tolstoy has been translated numerous times into English. Are they Cliff Notes versions? That's doing a disservice to the translators. I don't have the time to read every one of my books in the original language they were written in. or a photograph of a painting, are "good enough". Actually, yes I think it is. I don't want or need a big painting, I'd be happy with a photograph of it blown up and framed. The sort of philosophy I'm interested in doesn't require Greek, although interestingly enough Simone de Beauvoir taught herself Greek. Not sure about Sartre. It also betrays a Eurocentric perspective. If I was interested in Buddhist philosophy (and I am), I wouldn't need Greek. I'd need Sanskrit. Philosophy is much bigger than the philosophy created over 2000 years ago in one corner of the world. Even in the West, especially in the analytic tradition, there's much philosophy that has nothing to do with the Greeks. Well said Nooj. Well said. 1. And what's the purpose of reading "the" Aeneid? To say you have read it? Why listen to a Bob Dylan album when you can read the liner notes instead? 2. I was suggesting that there are not many reasons to read the Aeneid other than to experience the poem that it is. I did give an example of one possible other reason. 3. I think a Russian lover of Tolstoy would indeed tell you that reading him in translation is not "good enough". But there is a significant difference between reading a novel in translation and a poem. You necessarily lose a tremendous amount in the latter which is perhaps not the case in the former. And translation is an odd business now that you mention it. I think you will find that for many translators of poetry it is a labor of love but they are quite ambivalent about whether they are really doing a service to the world by encouraging reading poetry in translation. 3. So is the purpose of a painting to be seen or to be possessed? 4. Sartre would definitely have had some Greek. And how do you know what the sort of philosophy you are interested in "requires"? What does it mean to seriously understand existentialism? I think neither Sartre nor Heidegger would agree with you about the unimportance of Greek. Existentialism in a nutshell is a certain working out of what it means to live in an acosmic or irrational world. That is to say it is a rejection of the Platonic and Aristotelian idealisms. If you are really interested in existentialism you will want to know whether it is true, and if you want to satisfy yourself on that point you will have to have Greek. And even the Analytic types believe themselves to be deeply engaged with the same topics as Aristotle. How well they actually understand Aristotle and thus their own activities is certainly open to question. Finally regarding your comments on Buddhism, it seems to me that you are the Eurocentric one here in that you project a Greek conflation of wisdom with reason onto a way of life that does not seek wisdom through reason. And anyway there's nothing European about ancient Greece, which makes the charge even more ill-fitting. *In fairness I'm winging it a bit here with regard to Buddhism but I believe I am correct. I'll reply to the rest of your post tomorrow, after I get some sleep. Why do we read anything? For enjoyment, for pleasure, for boredom, for information etc etc. Look I get what you're saying, but the Homeric epics haven't been sung for at least two thousand years. IIRC, the tradition was dying out when the Alexandrian commentators were writing on Homer. One could ask why we bother with Homer at all now if we can't even appreciate its oral nature. Haven't we neutered its power? Or, as I think, can we appreciate at least some of what remains in a new format? True, we're never going to be able to hear the epic poet with musical accompaniment, but we can still get a reflection of the original thing. And I think that's true of translations as well. Good enough for what? To appreciate Russian prose style? Obviously not. To appreciate his themes? I argue, yes. I agree that translating poetry is very different from translating prose. This is going to sound weird but what the heck. It's like translating Disney songs into different languages. They change things around - for example, the Arabic version of Hercules' 'Gospel Truth' changes the Muses to brides because the idea of goddesses is nonsensical to Arabic culture. So it's different, but I'd rather that an Arabic Hercules existed than not exist at all. Disney movies aren't exactly masterpieces, but still: would you rather have Homer in English, or no Homer in English at all? How many millions of people have the opportunity to learn Homeric Greek? It has whatever purpose you give to it. Some people see art as a valuable commodity to be sold and bought, some value art only for aesthetic reasons. I feel you need to look up Nagarjuna or Dharmakirti or Dogen. Buddhism, Hinduism, Daoism, Confucianism all have a long history of philosophy. Since none of us ever have or ever will be able to listen to an authentic ancient Greek performance of Homer then why bother learning Homeric Greek? To read the Iliad in Greek is little more than reading the lyrics of a song you never actually heard. The point has nothing to do with authenticity. The point is about complacency. I would not fault Aquinas for reading Aristotle only by way of Arabic translations (the Greek was not available to him). I would fault him for not sorely regretting the fact that he couldn't get his hands on the original. If I were an admirer of Vergil who did not have the opportunity to read him in Latin, that would sadden me. I'm not saying I would jump off a bridge, but I would regard it as a truly unfortunate thing. For that matter I think it is a real shame that the oral tradition of Homer is inaccessible. Is reading aloud to oneself "good enough"? I wouldn't say so, but it's certainly better than nothing. And regarding the Buddhism as philosophy question (disregarding the other Asian -isms for now), I stand by my comment that if Buddhism has any resemblance to my understanding of it, it is not philosophy. Again I want to stress that to say that Buddhism is not philosophy is in no way to slight it. To perceive that as as slight is to presuppose that philosophy is the best way of life, or the only path to wisdom. Such a belief strikes me as the very core of "Eurocentrism". The reason I say that Buddhism is not philosophy is Buddhism seems to suggest that wisdom or enlightenment comes with the negation of all desire, whereas philosophy *is* desire, the unrestrained desire to know what is. Buddhism also has a religious element which is probably bit of a political imposition on the core teaching. Karma and reincarnation and the like. This is certainly not philosophy. I would also point out that the Western philosopher who is probably at the bottom of the post-WW2 interest in Eastern "philosophy" in American universities is Heidegger, and Heidegger thought philosophy was basically a mistake and saw Buddhism as possibly offering a more authentic relation to the nothingness of the world. ("The Nothing" I think he would say). In other words he appreciated Buddhism precisely because it was not philosophy. But your attack of this supposedly widespread complacency seems to be predicated upon a lack of authenticity. So someone ought not to be satisfied with having read Fitzgeald’s translation of The Odyssey because they haven’t read it in Greek. The only reason that Aquinas should have found it regrettable is if he was unsure of the quality of the translation. If the translation is accurate, why should you only read Greek philosophy in Greek? Is there something magical about the original language? Will I only understand Nietzsche's points in German? What does it mean to seriously understand existentialism? I know that it doesn't require you to learn another language to understand its basic tenets. Some of those basic principles are freedom and responsibility. These are English terms, but they are universal concepts. No language holds a monopoly on them. That is the only thing I care about. If I'm lucky, I'm going to survive for a couple more decades barring any major accidents. I don't care about how many languages I'll notch on my belt nor will I ever be smart enough to be an academic who needs to know so and so languages to write a paper. LCN wrote: And translation is an odd business now that you mention it. I think you will find that for many translators of poetry it is a labor of love but they are quite ambivalent about whether they are really doing a service to the world by encouraging reading poetry in translation. I so very agree with this. Reading Trakl in English is reading Trakl stripped down to a wobbly approximation of the German meaning. The English version, at least the one I read, is flatly unsatisfying, despite the best efforts of the translator. When one translates, a new and different work is created. One must always hope that the interpolation is as unobstructive as possible, but this isn't the case much of the time in my experience. Speaking to earlier points in this argument, learning new languages will broaden your cultural and academic perspective and give you instant access to a lot of works that are not yet translated. If one's goal is to be a better thinker, speaker or writer in any field, learning new languages—whether ancient or modern—is an excellent means to the end of having a mature intellectual mind. Koehnsen wrote: If one's goal is to be a better thinker, speaker or writer in any field, learning new languages—whether ancient or modern—is an excellent means to the end of having a mature intellectual mind. My college German teacher often remarked to his students that merely learning another language does not make one intelligent for he knew many people who could speak several languages yet had nothing to say. That has matched my personal experience. You have difficulty understanding what you have read. Moreover, your particular personal experience is meaningless. My experiences have simply supported what my German teacher said. Unfortunately, I've met too many polyglots who are just as silly or as stupid or as incurious as some monoglots. So I'm skeptical of correlating such multilingualism with having a 'mature intellectual mind'. Scribo wrote: When we're discussing whether or not such a particle is a Luwian loan word or whether such a phrase is a clumsy rendering of an Akkadian original or even reading a Hellenistic novel and laughing at the slight change of an old Homeric phrasing Greek is obviously important. Yes the ταρ thing is especially noticeable, especially when we consider the common usage of kwis tar in Luvian in similar places. As for Literature...well...it depends what one means by "accessible". I don't think so. I know the West editions of the text are a good, if unwieldy, source to learn about these things. 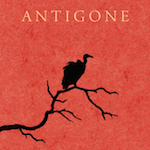 Anatolian influences on Greek Literature in general are rather well noticed. For example the similarities between the Kummarabi and Ulikikummi "songs" in the Hurrian/Hittite tradition and the Hesiodic corpus are well known. Penglase, C 1991 "Mesopotamian something something Hesiod"
are good places to start. Much more easy to read though from a slightly different perspective is Latacz's "Troy und Homer" also available in English, "Troy and Homer", which includes summaries of such pertinent information as Priamos being a retroflex of a genuine in Luvian hero - Priawamos or something, replete with workable etymologies for his name and in general a fantastic contextual overview of the background to the Iliad. In all sources I read the picture about Luwians and Anatolians remains pretty fragmentary, I think. Maybe because the focus is on the Greek. And maybe the fact is that Anatolian studies are simply less mainstream than Greek studies, and this information is to be found scattered in obscure Hittitologist specialist literature. And I'm reading this stuff for fun, between other obligations of life like family, work etc. And maybe what is known about the Luwians anyway is fragmentary. Also, the focus in these books tends to be rather on Mesopotamians than Anatolians, which probably reflects amount of sources available. Well I'm not sure really what to recommend since I've no idea what you've read or what level you're aiming for. Sources for the Luwians are, of course, very very fragmentary and putting together a full scale study on them simply isn't really that feasible from a literary point of view. Anatolia does get quite a bit of attention thanks to the massive collection of Hittite texts. Try Hoffner Jnr (I think!) book on Hittite Myths and go from there. It should have a bibliography in the back. Most of the good stuff will be in German I suspect. Scribo wrote: Well I'm not sure really what to recommend since I've no idea what you've read or what level you're aiming for. Neither do I But I've been noticing that your interests are not very different from mine and I thought maybe I should be going the same way you've gone... But this is a hobby, I'm not going anywhere precise. I turn to whichever direction looks interesting. Maybe I'll try Hittite Myths. I've long since come to regret being a lazy student of German at high school. But I'm going to make that up one day! Donnerwetter! No worries, my German is probably even worse, you haven't seen me try to read it. This is getting a little bit off topic here I know but I would reiterate my suggestion for that book on Hittite Myths since it's simple, concise but not patronizing and I think mentions Luwian variants alongside the Hatto/Hurrian ones. Nice to see someone else finds this stuff interesting, feel free to start a thread/get in touch if you like. When it comes to place names, how different are ancient and modern? If I got a modern atlas of Greek, how many ancient locations would appear? pster wrote: When it comes to place names, how different are ancient and modern? It can vary heavily. First of all most ancient place names are putative and subject to heavy revision in the first place - due to a large problem with cultural continuity it's not as if we've had continuous occupancy and until the massive propaganda drive post Independence most places had Slavic/Albanian toponyms. There are several cases where, despite what the tourist boards say, are basically probably wrong. Comparing maps from a few hundred years ago is quite revealing actually. Ancient Geography is not my thing, though one of my friend researches in that area (boring thing) and personally I think in terms of modern Greece anyway, so. Sometimes they are basically the same: anc Ath:enai mod Athina. Sometimes they are markedly different: anc Kudonia mod Hania. Thanks. I just would like a wall map or an atlas of Greece,with all the (ancient) place names in Attic. I have never seen one. Seems hard to believe nobody has produced one. And I was wondering whether a modern one would be a good subsitute. Are the major places, like islands, spelled the same--accents and all--in modern Greek and Attic?